Disney "Pooh's Honey Hunt" Limited Edition Sericel with Certificate of Authenticity. 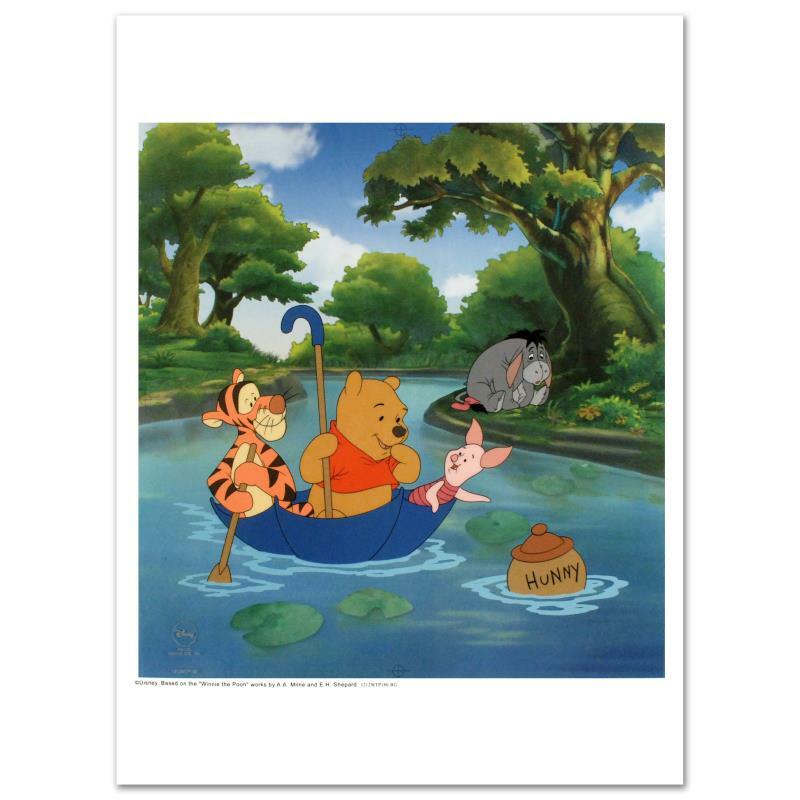 "Pooh's Honey Hunt" is a limited edition sericel from a sold out edition. This officially licensed Disney edition comes with a certificate of authenticty and measures approximately 16" x 16.5" (sericel), 17" x 23" (background with border). On October 16, 1923, brothers Walt and Roy Disney founded an animation company called the Disney Brothers Cartoon Studio following the production of their first short film Alice’s Wonderland. Riding on his success, Walt created a new cartoon character named Mickey Mouse, who starred in early short films, including Steamboat Willie and Plane Crazy. In the 1930s, the cartoon studio, now named Walt Disney Productions, took on their greatest challenge to date: completing a feature-length animated movie. Snow White took three years to complete, but it quickly became the highest-grossing movie of the time. Through the 1940s and 1950s, Disney’s popularity grew with the production of more animated features like Bambi (1942), Cinderella (1950), and Peter Pan (1953). Though Walt Disney died in 1966, his company continued to grow by steadily producing more critically-acclaimed features as well as cultivating its own permanent cast of characters that included the family favorites, Mickey Mouse, Donald Duck, Pluto, and Goofy. Over the years, Disney’s success has led them to explore other projects in addition to their animation ventures. In 1971, Walt Disney World, the iconic theme park based on an idea Walt had conceived in the 1950s, opened in Orlando, Florida. The company has also produced a number of successful live-action movies like Mary Poppins (1964) and Freaky Friday (1976) as well as a slew of popular television shows like The Mickey Mouse Club, many of which are shown on their own Disney Channel. More recently, Disney has teamed up with CGI animation production company Pixar to create computer-animated features like Finding Nemo (2003) and WALL-E (2008). 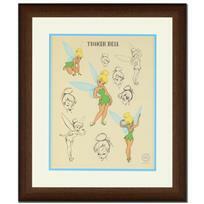 Disney "Pixie Poses" Limited Edition Sericel with Certificate of Authenticity; Framed. 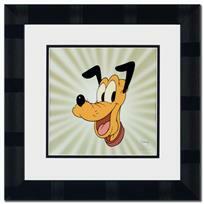 Disney "Here's Pluto" Limited Edition Sericel with Certificate of Authenticity; Framed. Disney "A Smile and a Song" D23 Limited Edition Hand Inked and Hand Painted Animation Cel with Certificate of Authenticity; Framed. "Castle Ballroom (Interior)" Limited Edition on Canvas from the Disney Fine Art Treasures Collection; with COA. 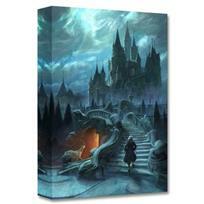 "Castle Exterior Approach" Limited Edition on Canvas from the Disney Fine Art Treasures Collection; with COA.